This post is sponsored by Juicy Juice. Thanks for the fun inspiration! There’s a chill in the air and the holiday season is upon us. It’s the perfect time to snuggle together for a family movie night. 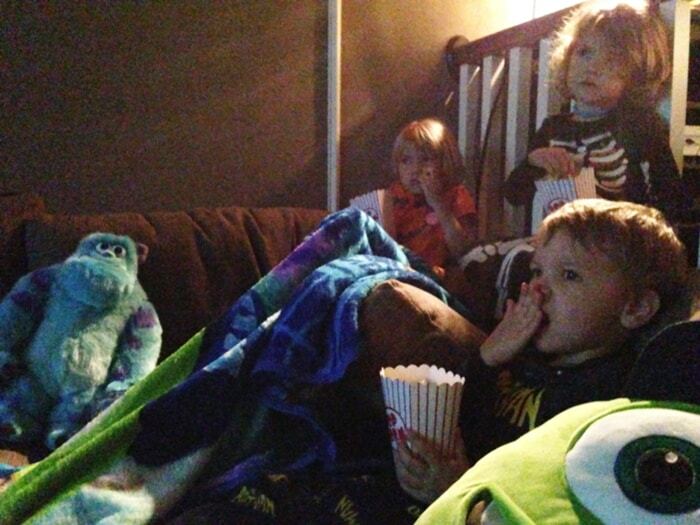 Clare, Quinn and Gordon are finally close enough in age that they can all watch a full-length movie like Monsters University together. The girls have always been silent movie viewers so it’s hilarious to hear Gordon scream and laugh over the scene on the screen. Perhaps we should stick to AT-HOME movies for a bit longer. 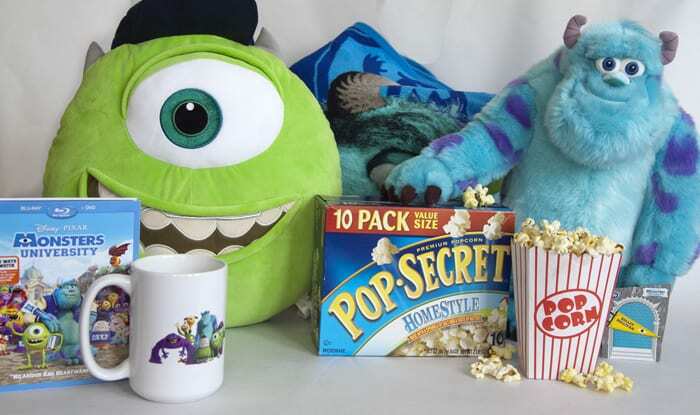 Mike Pillow, M U Mug, and Sulley Plush. 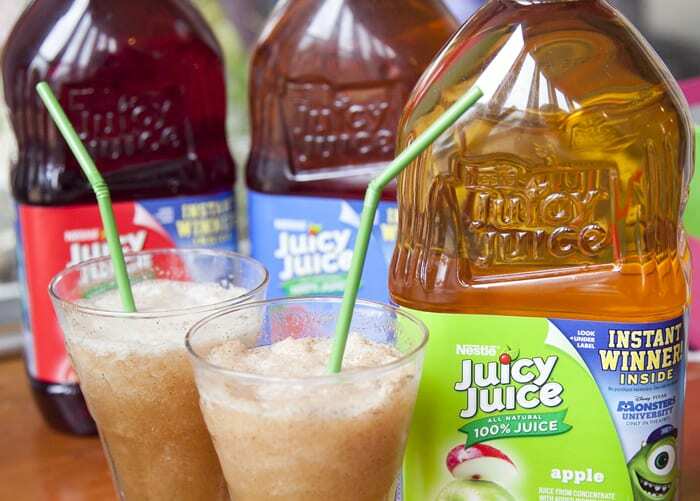 Read on for the details on how to enter to win this awesome prize, the huge grand prize, and for our simple Apple Pie Slush Recipe. There’s a shake version too! 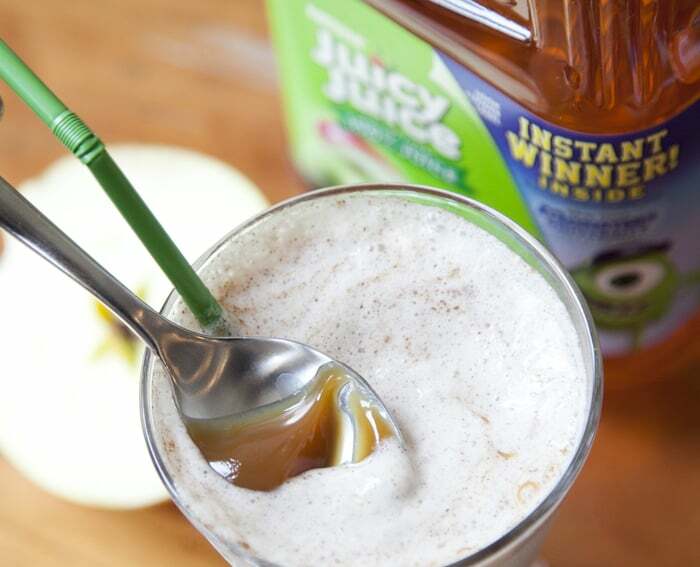 This deliciously easy Apple Pie Slush is the perfect thirst quencher with salty, buttery popcorn and it’s easy enough to make without hitting the pause button. 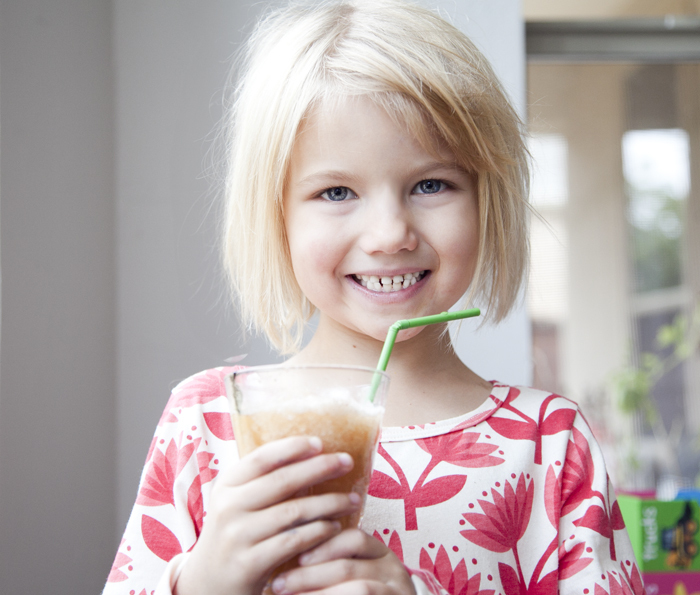 Mix in blender, scoop into cups and enjoy! In the mood for something slightly more indulgent but still healthy? Mix in blender, scoop into cups and enjoy! Add whipped cream, a spoonful of caramel and a sprinkle of cinnamon on top if you are feeling festive! •Character call – One of your kids’ favorite Monsters Inc. characters will call your home with a personalized message! •Exclusive content such as behind-the-scenes, bloopers, etc. The grand prize sweepstakes winner will receive a behind-the-scenes tour of Pixar Animation Studios in Emeryville, CA complete with a private screening of the film as well as a $5,000 scholarship! Also, ten first prize winners will receive a $5,000 scholarship!